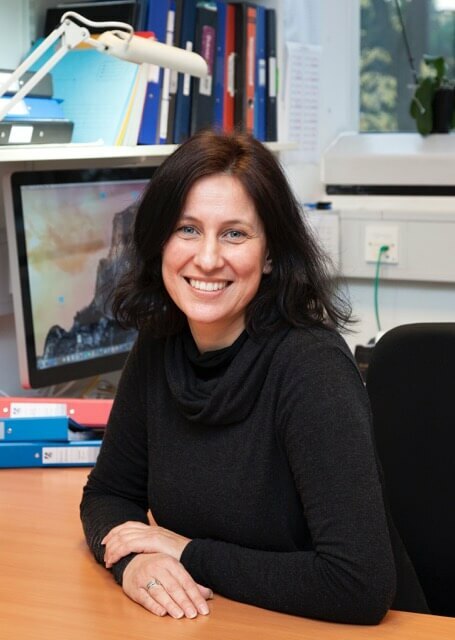 Dr. Martins is a Group Leader at the MRC Cancer Unit in Cambridge, UK where she leads the “Modeling tumor development and therapy” research program. Her lab focuses on the identification and targeting of the mechanisms responsible for lung tumor progression. Originally from Portugal, she completed her MSc studies in Biology and Genetics at Moscow State University. She then joined the group of Prof Anton Berns at Netherlands Cancer Institute as a PhD student. During her PhD she identified new lymphoma promoting mutations and described novel mechanisms of cooperation between such mutations. In 2003 Dr Martins became a postdoctoral fellow in the group of Prof Gerard Evan at UCSF, where she explored the potential of novel cancer targeted therapies. Using a newly developed p53 switchable mouse model she determined the impact of p53 restoration therapy in lymphomas and lung tumors and demonstrated the therapeutic potential, and possible limitations, of this approach. The latter study, triggered her interest for the mechanisms that enable lung tumor progression to malignancy and helped define the focus of her future research. Following a brief period in the lab of Prof David Tuveson at the CRUK in Cambridge, she then started her own group at the MRC Cancer Unit. The research of Dr Martins’ team is focused on lung tumors with KRAS mutations, a frequent genetic mutation that so far remains untargetable. Her group recently showed that mutant KRAS lung tumors are genetically and metabolically heterogeneous and that this heterogeneity can affect prognosis and response to therapy. In particular, they showed that advanced tumors exhibit a unique metabolic signature which can potentially be targeted therapeutically. During her career, Dr Martins received multiple awards, namely a Gulbenkian PhD Program in Biology and Medicine (PGDBM) fellowship (1996), a Leukemia and Lymphoma Society Fellow Grant (2005) and an MRC Centenary Award (2013). Lung cancer is the leading cause of cancer related death worldwide and lung adenocarcinoma, a subtype of non-small-cell lung cancer, is its most common histologic subtype. Mutations in KRAS are very frequent (~28%) in lung adenocarcinoma but unfortunately, unlike for other commonly mutated proteins, no mutant KRAS-targeting drugs are currently available. The identification of alternative therapeutic strategies for the efficient treatment of mutant KRAS tumors is therefore a therapeutic priority. Gene mutations are common events in human cancer and have been a major focus of cancer research. However, sequencing data demonstrate that gene gains and losses are also a common occurrence in cancer but they have been significantly less studied. Our lab recently showed that the number of mutant KRAS gene copies can vary significantly in lung tumors and that the gain of just a single mutant copy (single vs double mutant) has a major effect on tumor models, leading to enhanced metastatic potential and metabolic rewiring. Importantly, we also showed that this metabolic rewiring can potentially be exploited therapeutically. Our recent data imply that mutant KRAS tumors are heterogeneous and may have different susceptibilities to therapy, that have so far been overlooked. With the support of the LCFA/IASLC Lori Monroe Scholarship in Translational Lung Cancer Research we aim to use our recent findings to improve the targeting of mutant KRAS lung tumors. To achieve this, we propose to use a combination of screening methods to identify therapies that efficiently target each of the two mutant KRAS lung tumor subsets independently (single vs multiple copy). In parallel, we will explore strategies capable of efficiently targeting mutant KRAS lung tumor cells, irrespective of their KRAS gene copy content. Our ultimate goal is to provide innovative therapeutic strategies for patients with mutant KRAS lung adenocarcinoma, and thus radically change disease management for a group of patients urgently in need of therapeutic alternatives.